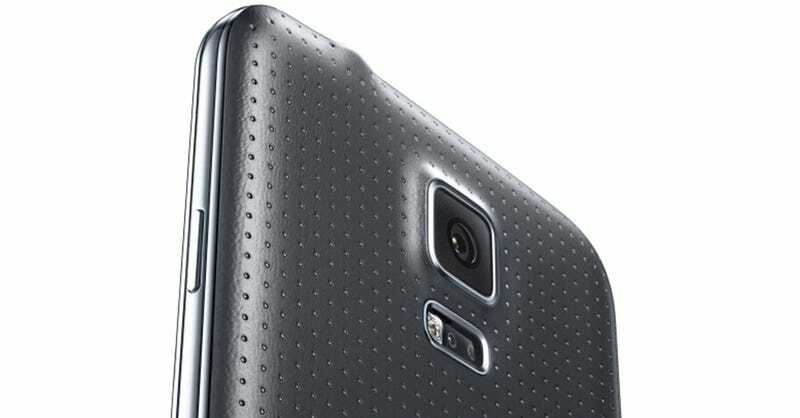 Samsung has never been a leader when it comes to smartphone cameras but with the Galaxy S5, it's taken a step forward. It has nothing to do with megapixels—instead it's all about that weird-sounding feature called "phase-detect" autofocus, which allows the camera to focus in just .3 seconds. Samsung claims that's the fastest in the world, and it could seriously change how you use the camera. We've tested basically every smartphone camera, and it's astounding how quickly their quality has been improving over the years. Low-light quality has never been better, and in recent years, the megapixel counts have been soaring, without seeing any of the corresponding loss in image quality you'd expect. One thing we haven't heard a lot of—but you can expect to now—is claims about how fast a camera is. Think about how important speed is. If your buddy slips and falls embarrassingly, you want to be able to whip out your camera and snap the picture as quickly as possible, before the shock leaves their faces and they've got time to recover. You want to get the hilarious agony of the moment. The Samsung Galaxy S5 has a higher resolution camera 16 megapixel camera, but what's really important, is that as far as we can tell (tell us if we're wrong! ), it's the first camera on a smartphone to use phase-detect autofocus. Traditionally, digital cameras that don't have a mirrorbox—IE, point-and-shoots and mirrorless cameras—use contrast detection autofocus. In this method, the contrast between nearby pixels is measured, and the camera's lens is adjusted until this contrast is maximized. This system has a lot of drawbacks: It's coarse, it's slow, and more importantly in situations where there's not a lot of contrast (or light) in a scene to begin with, it doesn't work very well. Phase detection autofocus was commonly used on SLR cameras with mirrors, but it's only recently started trickling into mirroless cameras over the last couple of years, as part of the "hybrid" systems that enable shooters like the Sony A6000 to focus crazy fast. The contrast detect autofocus gets you close, but the fine adjustment is performed by phase detection which compares the actual light received by the sensors, rather than just the contrast. In the real-world, you can't underestimate the important of shooting with a fast AF system. It's one of the most important features we test when we're reviewing cameras. You're probably familiar with the experience of a camera that "hunts" for focus—moving in and out of clarity until it settles on the best spot You've also probably noticed the frustration that occurs when you've got an autofocus hunts and then settles on a spot that's totally wrong, as if it just gave up. The new phase detection will help remedy some of this frustration. Or rather it should help, assuming it works properly. We'll have to wait and see how well this new phase detection works on the camera when we've had the chance to test it out in real life.